In yesterday's posting we covered the announcement of the northern sections of HS2 and commented that maybe the Great Central Railway was being re-created. Certainly some of the locations that the new railway will pass through seem quite familiar to me, being brought up in Derbyshire and having an interest in the local railways. 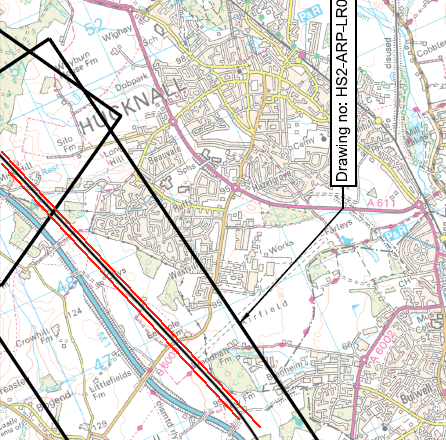 Renishaw, Staveley, Heath, Tibshelf, Annesley Woodhouse, Hucknall - all locations on the GCR and all being proposed for HS2. 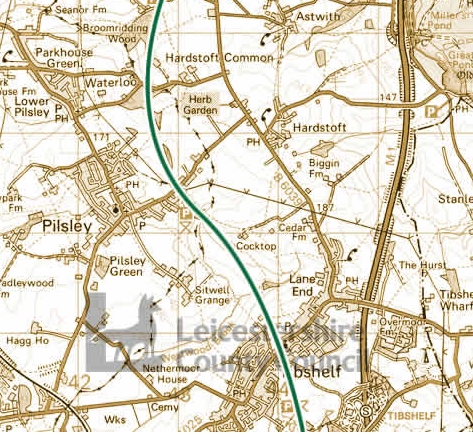 According to the DfT website "The line would connect with the London to West Midlands leg to the east of Birmingham, near Junction 4 of the M6, and then follow the M42 corridor north-east towards Derby and Nottingham. The East Midlands Hub station would be located between these two cities at Toton, about a mile from the M1"
The HS2 drawings make fascinating reading and some of the more detailed ones on the DfT website give great information about how the new line will be woven into the existing infrastructure, showing viaducts, tunnels and realignments of existing roads and motorways. Hucknall will be close to the new route, shown above. Still in existence in the centre of Nottingham, observed from the Nottingham Victoria car park, the old GCR tunnel. Wouldn't this make a good access for buses and trams! The course of the Great Central can be traced via http://www.railwayarchive.org.uk/map/osIndex.php. 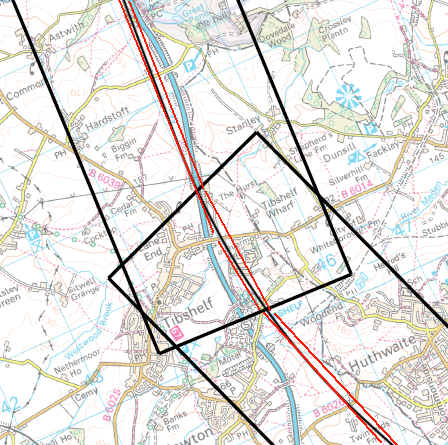 It is fairly accurate but has some mistakes such as the Winsick area south of Chesterfield where the line is shown taking the exact course of the A617 which made use of the GCR track bed. The line did actually divert around Winsick and this detail is not shown correctly. However it is well worth a look, especially to compare how close the HS2 will come to all those familiar names associated with the GCR.